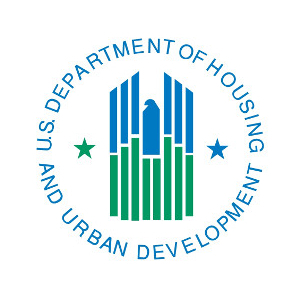 The U.S. Department of Housing and Urban Development (HUD), under the direction of Secretary Julian Castro, was awarded $75 million in family Self Sufficiency grants of which $591,302 came to Idaho. The goal is to help public housing and Housing Choice Voucher residents connect with local services to improve their education and employment and to put them on a path to self-sufficiency. "HUD connects folks to opportunity," said Castro. "These grants will link people to the computer access, financial literacy, job training, childcare and other tools they need to compete and succeed in the workplace. Every American deserves access to the skills and resources necessary to become self-sufficient." "Many people in public housing are struggling to overcome multiple barriers, and can benefit tremendously from help acquiring the skills, making the connections and building their way to economic self-sufficiency," said HUD Northwest Regional Administrator Bill Block. "That is exactly the kind of help housing authorities are able to provide to their residents through the FSS program. In partnership with the housing authority, residents in the FSS programs are able to reap substantial benefits that help them to take charge of their financial futures." Participants in the program sign a five-year contract that requires the head of the household to obtain employment and no longer receive cash welfare assistance at the end of the five-year term. As the family's income rises, a portion of that increased income is deposited in an interest-bearing escrow account. If the family successfully completes its FSS contract, the family receives the escrow funds that it can use for any purpose, including improving credit scores, paying educational expenses, or a down-payment on a home.